But Erdös liked stronger medicine too. 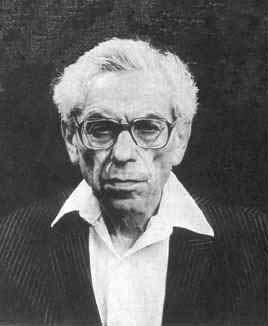 After his mother's death in 1971, Erdös became quite depressed. His physician prescribed amphetamines. Erdös took Benzedrine or Ritalin almost every day for the last twenty five years of his life. Sometimes he took both. Long-term use of amphetamines often exacerbates depression. When used chronically, too, amphetamines usually induce stereotyped thought and behaviour rather than creativity. But Paul Erdös seems to be an exception. He felt living on speed helped him to create maths. At an age when most mathematicians have long since burnt out, his output was certainly prodigious. Strong dopaminergic drugs also tend to provoke or exacerbate obsessive-compulsive behaviour. Here their effect on Erdös may be more typical. Erdös hated to be touched; and he washed his hands some 50 times a day. Colleagues worried that Erdös might have become addicted. In 1979, he accepted a $500 bet from his friend Ronald Graham. Graham challenged Erdös to abstain from speed for 30 days. Erdös met the challenge, but his output sank dramatically. Erdös felt the progress of mathematics had been held up by a stupid wager.